Wanayran Alvarez Angerer (aka@wannyangerer) from Tegucigalpa, Honduras is a singer, cultural promoter, mother, woman’s rights activist, and world traveler. 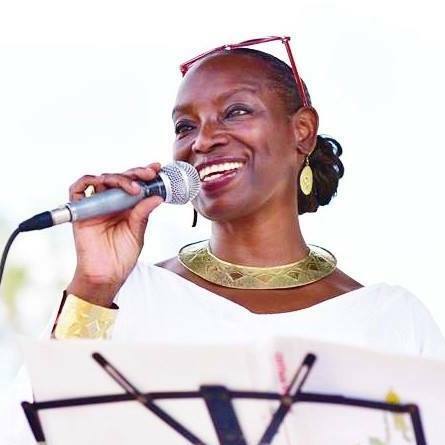 An ambassador of expressive therapies, the vast list of initiatives and social movements Wanny has her hand in includes Wanny Angerer in Moving Cultures, Cultural Stopovers, Wanny Angerer Music and Dance Therapy, Mujeres en las Artes, Ponchos Wanayran and countless more. Wanny was born in Tegucigalpa, Honduras into a diverse community that traces its ethnicity to infusions of Spanish, Native Honduran, and African. From an early age this amalgamation of diverse culture had a huge effect on Wanny’s philosophy on life, cultivating in her an appreciation of global unity and the importance of the arts as a means of self-expression, and cultural connectivity. Wanny has traveled across Africa, Asia, Europe and Latin America and the Caribbean using arts and music to educate, unify and bring about positive change across the globe. In April 2018 Wanny was a guest for their Majesties the King and Queen of Sweden for the 10th Global Child Forum at the Stockholm Royal Palace. She is currently based in Bangkok Thailand.